As custom woodworkers, we often find ourselves having to make templates, cutters, jigs, or models that we use only once. Some special projects, however, require recycled tools. 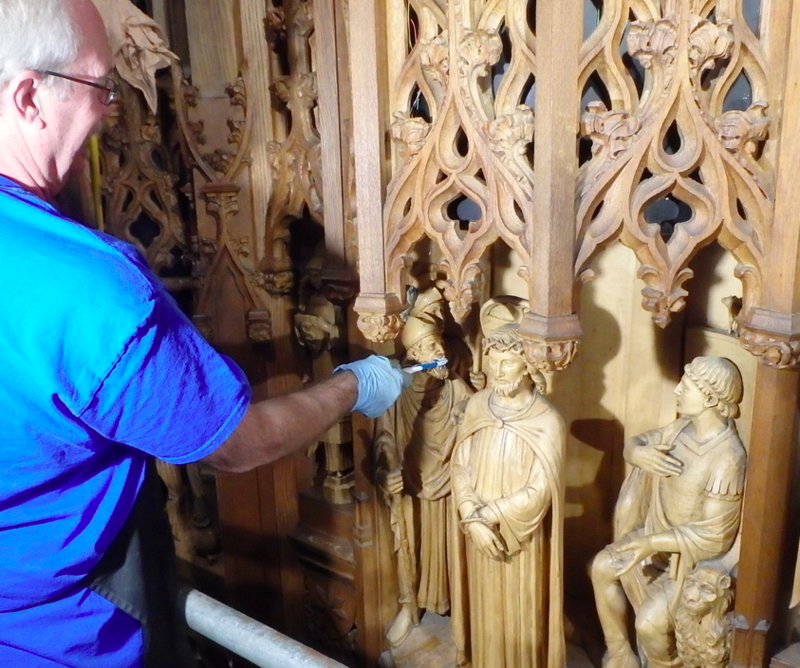 During our restoring of the reredos in Duke University Chapel we were faced with many elaborate and very dusty carvings too small to be cleaned except by the smallest of brushes. And, as the picture shows, sometimes that brush is oddly appropriate: an elder giving false witness to Pontius Pilate gets his mouth washed out, his teeth cleaned, with a recycled toothbrush. Cleaning the ornamental screen-wall behind the main altar of Duke University Chapel.